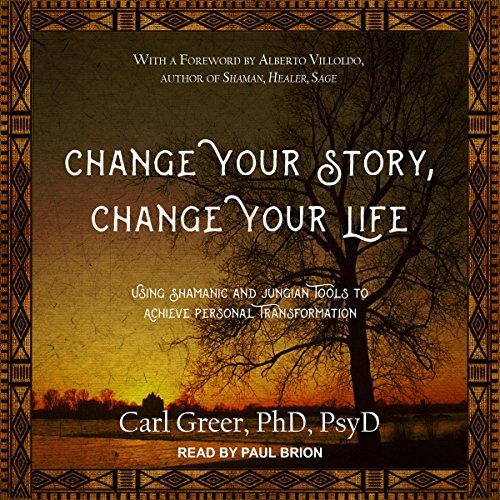 Showing results by author "Carl Greer PhD PsyD"
Change Your Story, Change Your Life is a practical self-help guide to personal transformation using traditional shamanic techniques combined with journaling and Carl Greer's method for dialoguing that draws upon Jungian active imagination. The exercises inspire listeners to work with insights and energies derived during the use of modalities that tap into the unconscious so that they may consciously choose the changes they would like to make in their lives and begin implementing them. 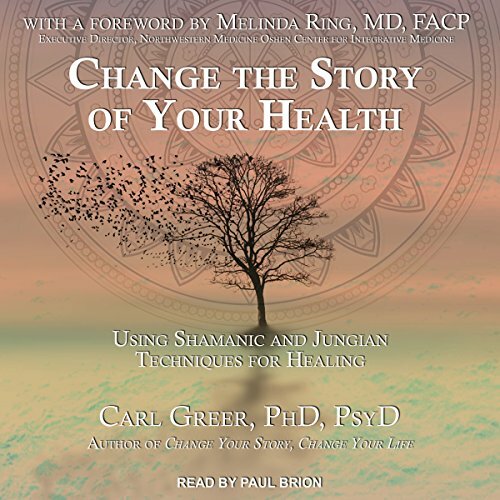 The story of our health is more in our control than we might think, according to clinical psychologist, Jungian analyst, and shamanic practitioner Carl Greer, PhD, PsyD. We can, not only reframe our experiences, but actually experience less stress, greater well-being, and even better physical health than it might appear if we are willing to identify our health story and begin rewriting it. Do you want to heal? Do you? This book will help!